The 2018 Hackaday Prize will soon be wrapping up, and as always, the contest has yielded some wonderfully innovative and promising ideas. One entry, submitted by Yvo de Haas, aims to make binder jetting accessible to everyone. Binder jetting, in which a liquid binding agent is deposited to bind powder particles together, is an effective method of 3D printing whose benefits include not requiring supports. It’s not a technology, however, that is typically accessible to the average maker. De Haas decided to change that with the development of the Oasis 3DP, an open source binder jetting 3D printer that he built himself. The Oasis 3DP consists of two hoppers and a spreader. One hopper is filled with powder, and the other serves as the build area. An inkjet head deposits binder onto the build area, which then lowers by the thickness of one layer. The powder hopper, in turn, raises, and the spreader spreads a new layer of powder across the build area, at which point the process repeats. This occurs as many times as necessary to build up a full part, which is then removed, allowed to dry, and cleaned. The Oasis 3DP uses a typical inkjet cartridge to deposit the binding material, and can print in several different materials, including gypsum, sand, sugar, ceramics and metal. De Haas points out the many advantages of binder jetting, including the fact that it can print with so many materials, and that it does not require supports. It can also be easily altered to print in color, simply by adding ink or dye alongside the binder. There are also several drawbacks, however: it’s a messy process, and all prints require post processing. The parts tend to be very fragile, as well, which limits their maximum size. Only one material can be printed at a time, and hollow parts require holes for the excess powder to drain out. All 3D printing processes have their disadvantages, however, and despite them, binder jetting is an effective method of creating a part from any kind of powder. De Haas designed the Oasis 3DP as an open source project. The setup is quite simple, and allows a lot of room for alteration and customization. 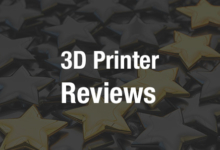 While there are many, many open source 3D printers out there, they tend to be mostly FDM; binder jetting isn’t something you see very often in the open source community, which alone makes this an intriguing project. The Oasis 3DP is not a finished project, de Haas cautions, rather a working prototype, so it may have a few quirks and imperfections. It’s a promising project, however, and if you have the space for a full binder jetting setup in your home or workshop, this could definitely be a fun thing to play around with. The finals of the Hackaday Prize 2018 begin on October 22nd, when the 100 top projects will be brought before the judges. The judges will then determine the top five projects, which will be announced at the Hackaday Superconference on November 3rd.